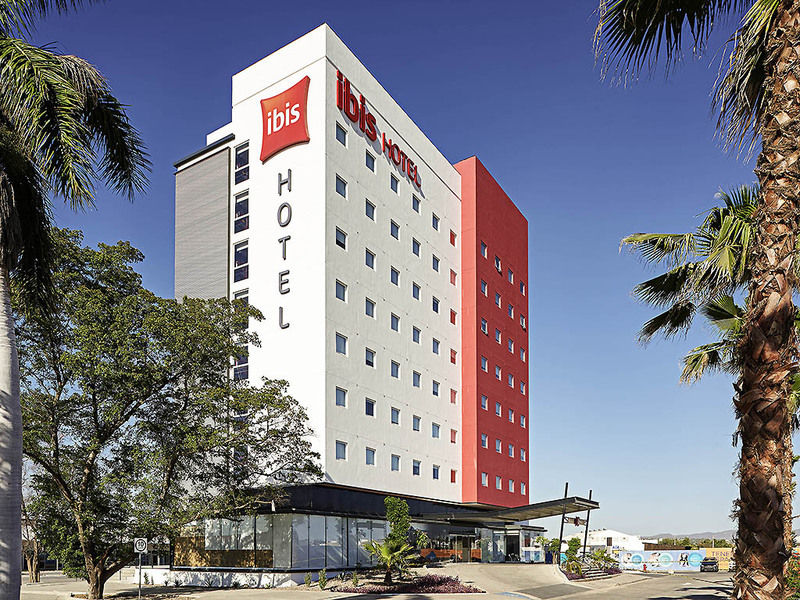 The ibis Culiacan hotel is located in an industrial district, just 6 minutes from Bachigualato Federal International Airport and 109 yds. (100 m) from Plaza Ley del Valle. It has 125 modern, sound-proofed rooms with air conditioning, a restaurant, a bar w ith a 24/7 snack service, free WIFI, private parking and access for guests with reduced mobility. The hotel is located in an industrial district, just a stone's throw from Plaza Ley del Valle, six minutes from the airport and 13 minutes from the city center. Modern and inviting, the new ibis hotel room has everything you need: large bathroom, modern decor, wooden floor, comfortable bed with duvet, Internet and flat-screen TV with the best international channels. Views of the main street. Modern and inviting, the new ibis hotel room has everything you need: large bathroom, modern decor, wooden floor, 2 comfortable beds with duvets, Internet and flat-screen TV with the best international channels. Views of the main street. Come along and enjoy creative cuisine at the ibis Kitchen restaurant, serving a range of balanced dishes throughout the day. There are no labels here and you will enjoy both real and virtual experiences. Surprise yourself!